The old Imbi Market used to be situated on Jalan Melati, Imbi in Kuala Lumpur. 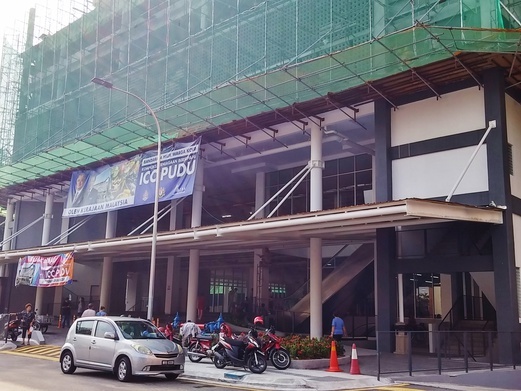 Just five months ago, the market had moved to its new home and current premise at ICC Pudu. Perhaps many would regard that as a welcomed move as at the new premise, there would be improved infrastructure and a cleaner environment though the atmosphere is no longer the same. This is the Integrated Commercial Complex (ICC) a.k.a. Kompleks Perniagaan Bersepadu Pudu that’s located next to Pudu Plaza. It is about a 10-minute walk distance from the Pudu LRT Station. 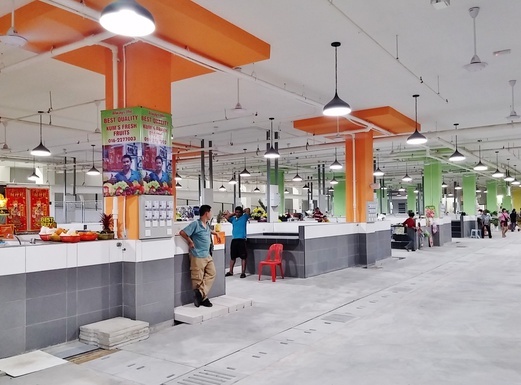 If you take the escalator down to the basement, you will see a huge market that sells seafood, meat, vegetables, fruits, dried goods, household supplies and clothing – all neatly categorised into individual sections. This place is new so it’s very clean and spacious. 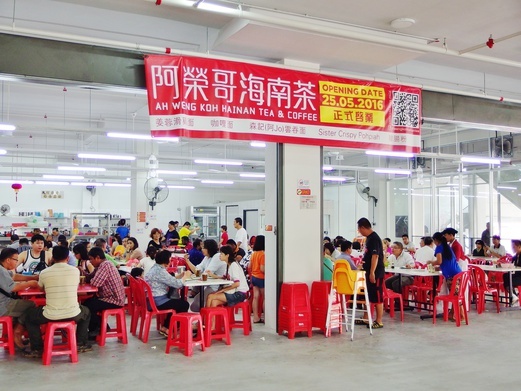 Upon entering the complex on the ground floor, you will see Ah Weng Koh Hainan Tea & Coffee (阿荣哥海南茶档) on the right. 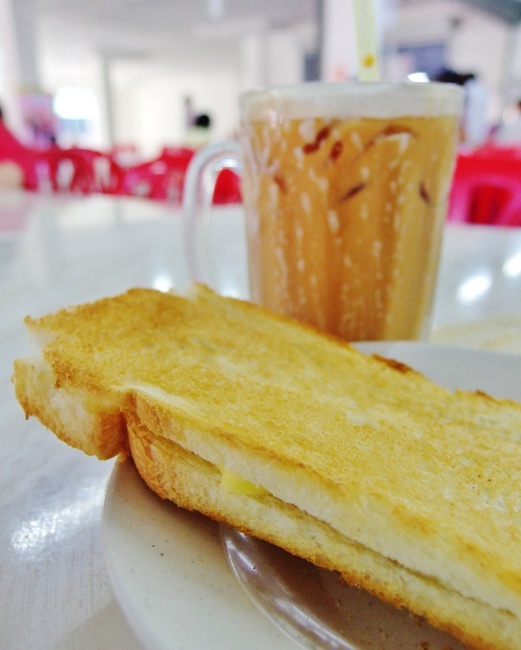 This is the coffeeshop that many locals have raved about and it’s considered one of the best breakfast places in KL that serves up authentic traditional Hainan tea, coffee and roti bakar (toasted bread). The moment you enter the coffeeshop, just find an empty table and sit down. Someone will come to your table automatically to take order. Service here is very prompt and efficient even when the place is full house. Their menu is the same as what a typical coffeeshop in Singapore offers – kopi, kopi oh, teh c, milo, toast, soft-boiled eggs, etc. 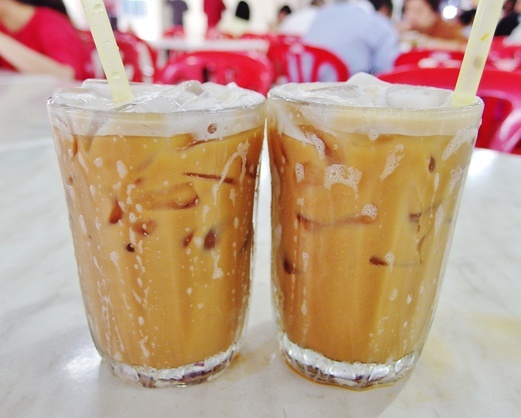 I had Teh Peng (RM2.40 each) which was rich, aromatic and smooth like a teh tarik. Even though I requested for it to be less sweet, it was still quite sweet imo. 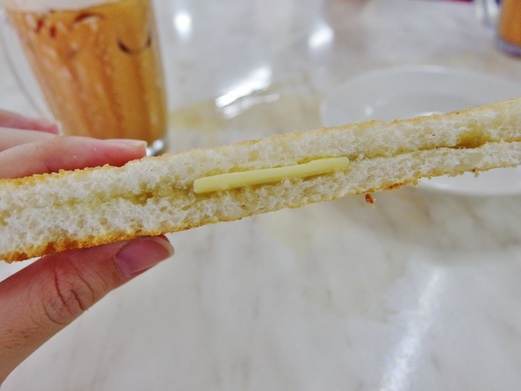 I also ordered one portion of Kaya Butter Toast (RM2.40) which looked kinda miserable. Two slices of thin, crispy bread filled with a fragrant, not-so-sweet kaya and a small slab of butter in the middle. This was ordinary kaya butter toast, nothing to shout about. Perhaps I should have ordered the bun version instead (many tables around had that) which looked way better than this. 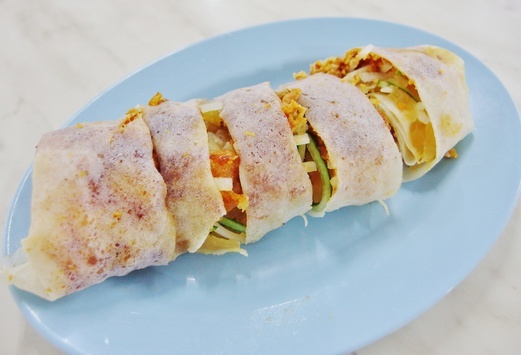 The same coffeeshop also houses Sisters Crispy Popiah. 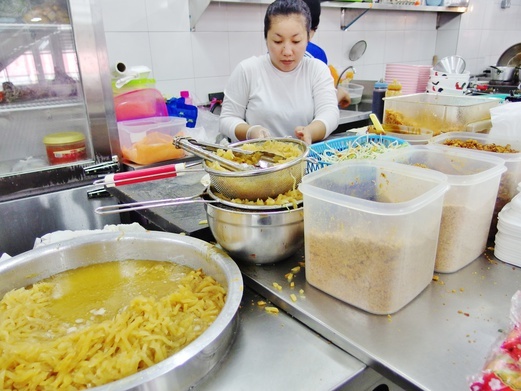 You can watch the ladies in non-stop action as they churn out rolls and rolls of popiah. 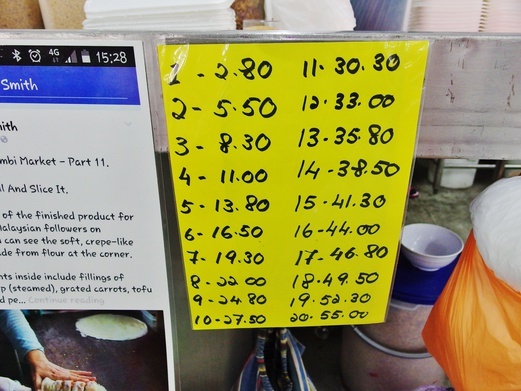 This is the price list for orders of 1-20 rolls. Not much of a big saving even if you order in bulk. We ordered one popiah for RM2.80. It was just like a regular popiah but filled with a lot more crispy bits just like those fried flour/batter from Long John Silver’s which gave a nice crunch. The popiah was quite loosely packed so when we tried to lift up each piece with chopsticks, the filling would just fall apart. 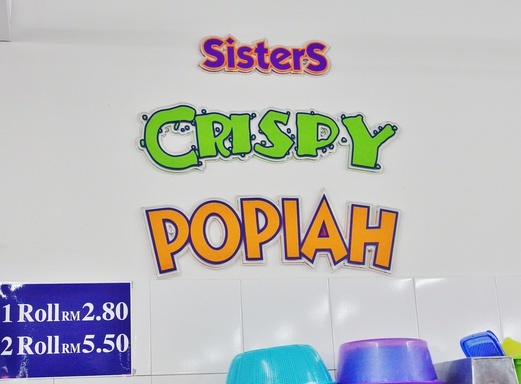 Sisters Crispy Popiah has 20 other outlets all around KL but this first-generation stall is the original one. It is open during breakfast and brunch times from Tue-Sun. 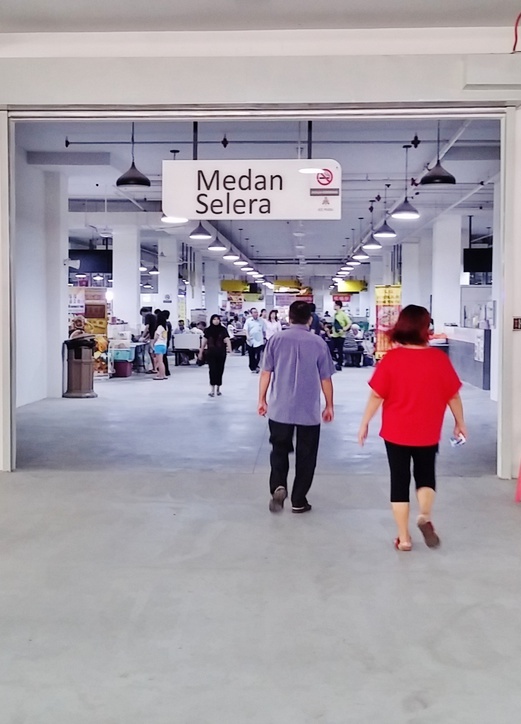 And on the left of the coffeeshop is the entrance to the Medan Selera (meaning ‘food court’) with many more food choices inside. This is the main reason why I’ve come all the way here to this food court. 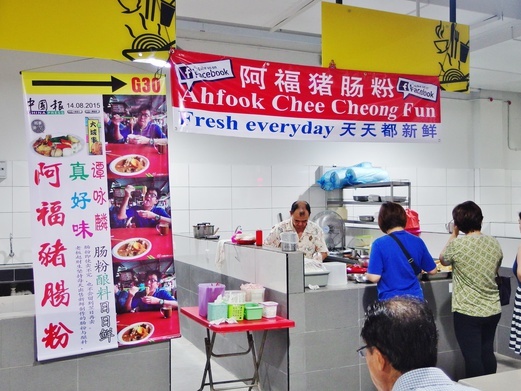 Ah Fook Chee Cheong Fun serves up chee cheong fun with a variety of yong tau foo items that you can pick from. 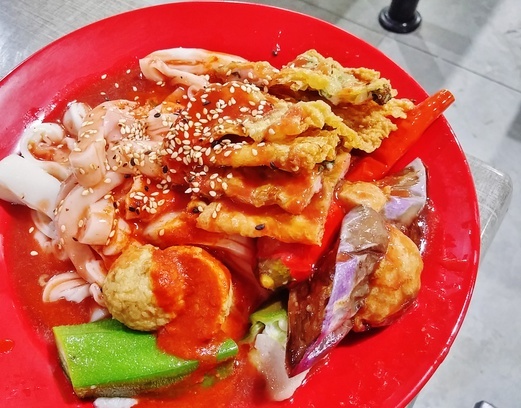 I ordered 2 portions of chee cheong fun, 2 pieces of fu chok, 1 meatball, 1 lady’s finger, 1 brinjal and 1 red chilli – all these for RM13.20. It came doused with a generous amount of sweet and chilli sauce. I loved the sauce that was perfectly balanced – savoury, sweet and spicy at the same time. The fu chok was spectacular, it was the best I ever had. It was crispy on the outside and a little chewy on the inside – the taste was just so moreish. Next time I come here, I’m going to have a whole plate of fu chok to myself, lol. 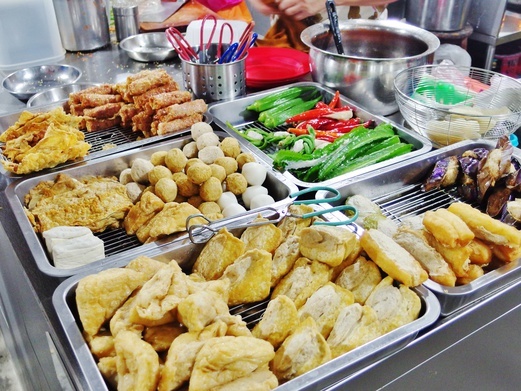 The vegetables that I had picked were filled with generous portions of fish paste and were quite big chunks when sliced into pieces. So satisfying! I really have to fly back to KL very soon to have my dose of chee cheong fun and yong tau foo. By the way, this stall sells out pretty fast so come early if you want to try. 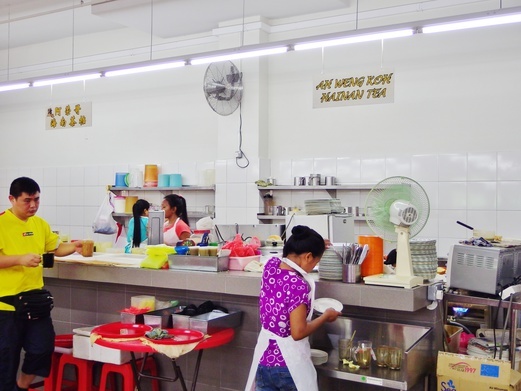 The other stall that I wanted to check out was Ann Nasi Lemak (they serve pig skin curry – yum!) but unfortunately it was closed on the day I was there.